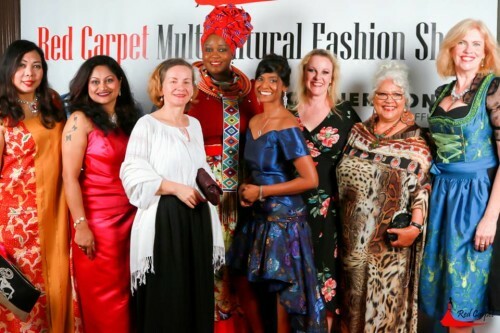 Three years in a roll, the multicultural fashion show of Red Carpet Functions continues to bring different communities together and celebrate cultural diversity in Brisbane. It was also very honoured to have Mr. Duncan Pegg MP, Chairman of Legal Affairs and Community Safety Committee, Mr. Steve Biddle, regional director of Queensland, Mr. Anthony Shorten, LNP Candidate for Toohey , Mrs. Pravinta Singh-Pillay, Principal Lawyer of Cornerstone Law Office, Lewis Lee OAM as well as Surendra Prasad OAM in the guest speakers line up of the night. “It was truly amazing to participate in event like this, seeing some of Brisbane’s best art and artists all in one room and empowering each other with nothing but love and support…… while hearing some of the stories and what has inspired such individuals to do what they do and the sentimental value it holds to them is incredible for me:” said Patrick Junior Oryem, fashion designer of Malaika Boutique Brisbane.